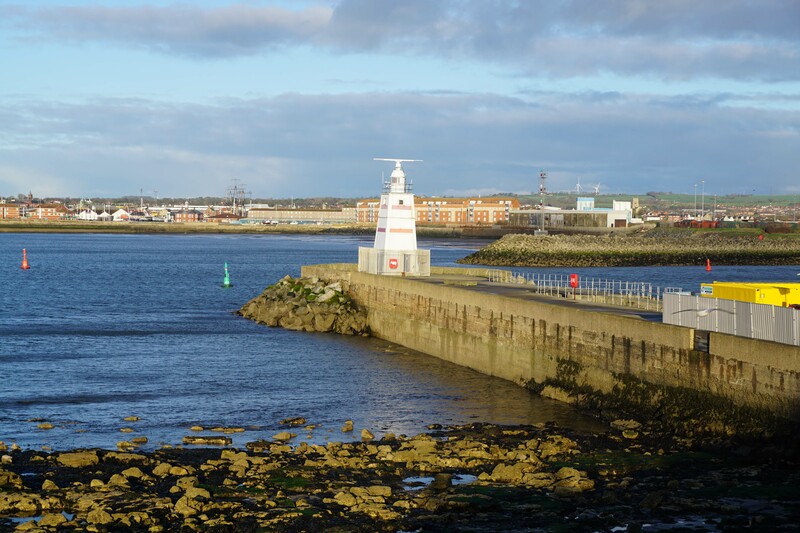 Hartlepool Town Wall was built in 1315 following a devastating raid on the port by the forces of Robert the Bruce. Later artillery defences – Fair Cove Battery, Heugh Battery and Lighthouse Battery – were constructed to protect the headland. 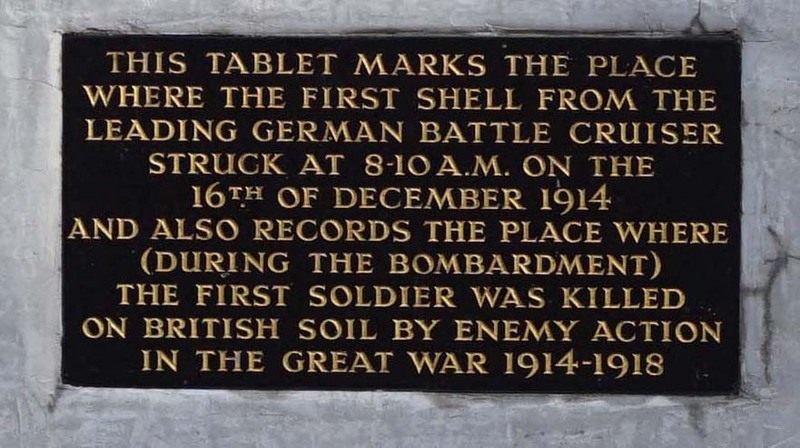 However, the presence of these installations did not deter the German navy from bombarding the town during World War I. Although today it is has expanded considerably, medieval Hartlepool occupied a small footprint on a peninsula known as the Heugh. The seaward east and south sides were fronted by rocky shores whilst a natural harbour was found to the west within the lee of the peninsula. A fishing village existed on the site since at least the seventh century AD and an Abbey was founded there in AD 658 (which was destroyed by the Danes in AD 800). Later in the medieval period it became County Durham's only substantial port. The settlement prospered and it was granted a Royal Charter by King John in February 1201. The owner of this site was Robert Bruce, a forbear of the later Scottish King. There is no evidence of any town defences before the early fourteenth century. However, from 1296 onwards England and Scotland were embroiled in the First War of Scottish Independence. In the early years of the war the Bruce family, who had become established in Scotland but still retained their southern estates, supported the English cause. However, in 1306 Robert the Bruce rebelled and declared himself King of Scotland. Bruce’s campaign started badly with defeat at the Battle of Methven (1306) and he went into hiding. His estates were seized and Hartlepool was granted to Robert de Clifford. However, the death of Edward I the following year gave Bruce the opportunity to consolidate and regroup. At the Battle of Bannockburn (1314) he decisively defeated the English and thereafter raided northern England attempting to compel Edward II to recognise an independent Scotland. This prompted construction of the first town defences at Hartlepool. These consisted of an earth rampart fronted by a ditch which severed the peninsula from the mainland and also protected the landward beach. The east and south sides were protected by natural cliffs. Hartlepool’s earthwork defences proved inadequate when a Scottish force, under James Douglas, sacked Hartlepool in 1315. Allegedly the residents were panic struck with many seeking sanctuary on ships at sea rather than risk the wrath of the Scots. The damage inflicted on the town prompted Andreas Bruntoft, the Mayor, to seek approval for more substantive defences. Edward II duly granted murage to fund upgrades the same year and work started on the walls immediately. The new town defences were built from locally quarried limestone with an ashlar face and rubble core. The walls stood six metres tall and were topped with a parapet guarded by a breast wall with embrasures. Three gates provided access into the town with North Gate being the main landward entrance whilst the Water Gate allowed access for small ships into the secure harbour. A larger gap in the wall, flanked by two round towers and blocked by a chain, provided access for larger ships. The third gate was Sandwell Gate which provided access to the beach. Only the latter now survives. A variety of bastions existed along the length of the wall. The original early fourteenth century ones were round but later square towers were added. The walls fell into disrepair during the fifteenth century, except where they doubled as sea defences. Accordingly the town was taken during the Rising of the North, a major rebellion against Elizabeth I. The walls were still substantially intact in 1790 but, in the years that followed, were plundered for their stone. A portion of the Town Wall survives along with Sandwell Gate. Despite the neglect of the town walls, the late sixteenth century saw the introduction of artillery to protect Hartlepool. The first battery was probably located at Fairy Cove overlooking a series of caves often used by smugglers and pirates. Further batteries probably followed especially after the Spanish Armada in 1588 and the subsequent war. In the seventeenth century the Wars of Three Kingdoms and the Anglo-Dutch Wars both would have necessitated artillery defences. 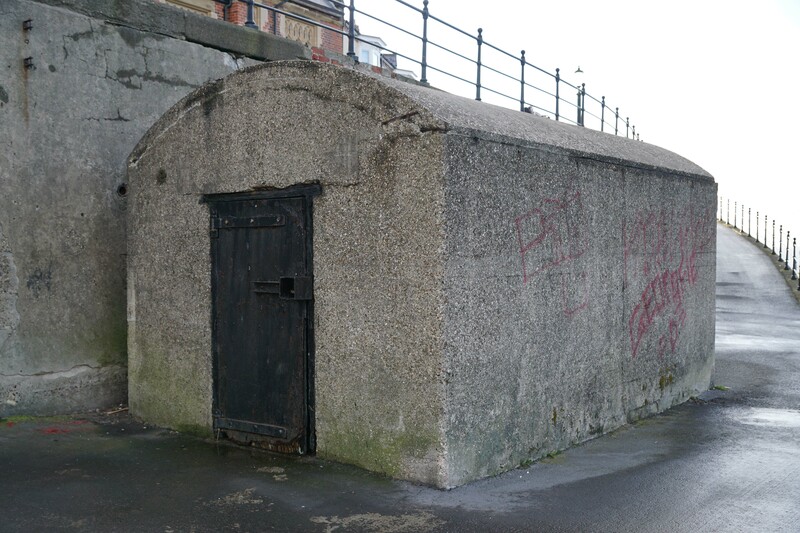 However, the first surviving record of a battery at Hartlepool dates from 1740 when Fairy Cove Battery was constructed. Hartlepool's artillery defences were substantially reviewed in the mid-nineteenth century. In 1858 France launched the world's first sea-going Ironclad warship ('La Gloire'; the Glory) threatening Britain's maritime superiority. A Royal Commission was hastily convened to assess coastal defence arrangements and recommended a vast fort building programme to defend vital dockyards. 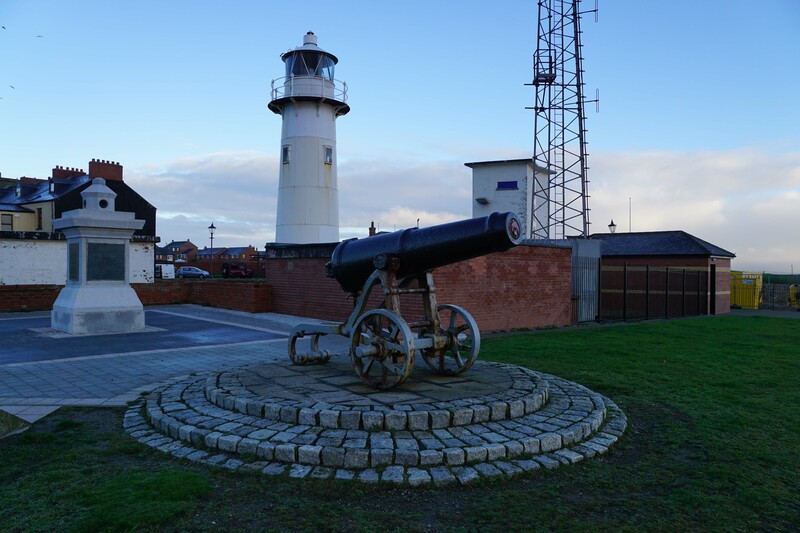 Hartlepool was the recipient of a new facility - Heugh Battery - whilst upgrades were also made to Fairy Cove Battery and Lighthouse Battery. Fairy Cove has been the location of a Gun Battery since the late sixteenth century as its position enabled it to defend the northern approach to the headland. Coastal erosion meant this was rebuilt around 1740 and fitted with three 68-pounder smooth bore guns. 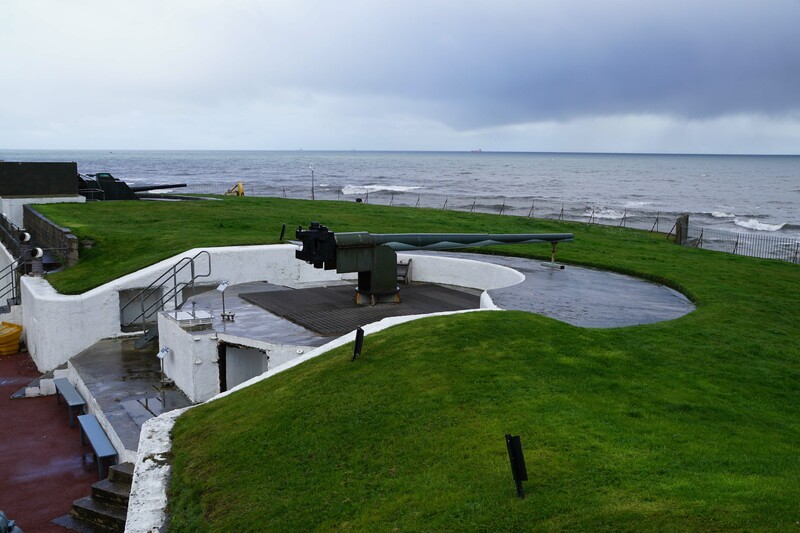 It was substantially rebuilt once more in 1860 and armed with two 68-pounder smooth bore guns which were installed in open barbette emplacements. Around 1941 this armament was modified when a Mark XXIV breach-loading gun was installed to serve a dual role as anti-aircraft and coastal defence. 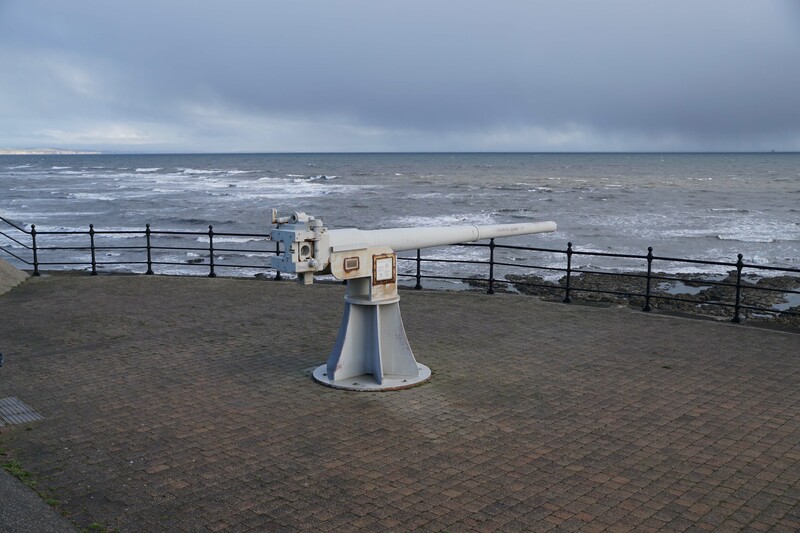 The site was decommission in 1956 and subsequently demolished but one of the guns is on display on the promenade. Heugh Battery was the largest of the three installations constructed as part of the 1860s upgrades. It was fitted with four 64-pounder Rifled Muzzle Loading guns installed in open barbette gun emplacements intended to provide protection against vessels approaching the harbour from the east. Two magazines were incorporated into the battery along with a barracks facility. 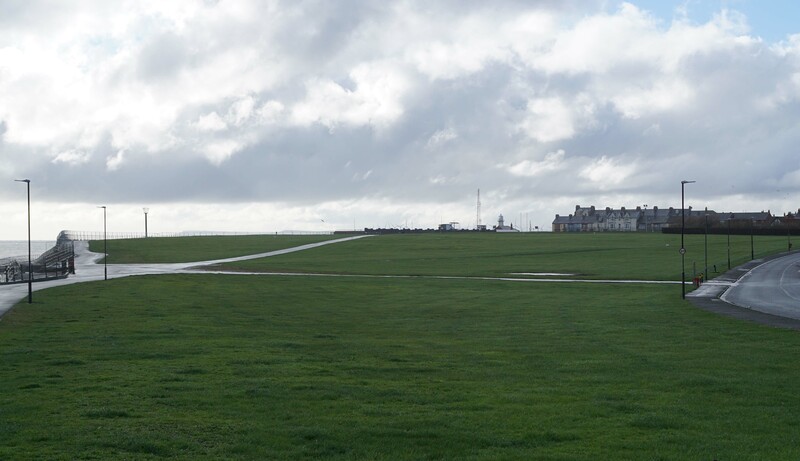 A sunken parade ground was constructed to the rear. The site was extensively modified in 1899 with its armament adapted for two 6-inch Mark VII guns. 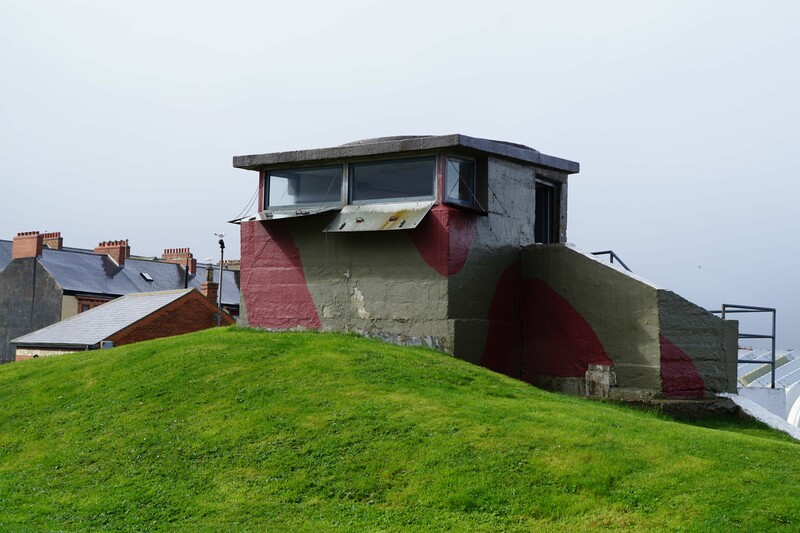 In 1942 one of the gun positions was rebuilt and fitted with a Mark XXIV breach-loading gun which served a dual role as anti-aircraft and coastal defence. The site was decommissioned in 1956 and then leased to Hartlepool Corporation who used it as a sports centre. It has now been converted into a museum. Heugh Battery was built in 1860. Lighthouse Battery was built in 1860 to the immediate south of Heugh Battery enabling its guns to fire along southerly arcs to cover the approaches into the harbour itself. It was armed with two 68-pounder smooth bore guns which were installed in open barbette emplacements. A magazine was sandwiched between them. The battery was extensively modified in 1892 and fitted with a single 6-inch Mark VII gun. The site was decommissioned in 1956 and sold to Hartlepool Corporation. They demolished the battery and the site is now marked by a gun captured from the Russians during the Crimea War. Examination Battery was constructed on the Old Pier in 1915 and fitted with one 4.7-inch Naval gun. All vessels entering the harbour during the war were required to be checked by the Examination Service and the battery provided a final denial function. It was decommissioned in 1928 but upon the outbreak of World War II it was rebuilt and fitted with two 12-pounder Quick Firing guns for use against fast motor torpedo boats. The battery was demolished after World War II although an ammunition store building survives. During the First World War, Hartlepool was attacked by the German navy as part of a wider plan to entrap the Royal Navy. During the war the main anchorage for the British fleet was at Scapa Flow in the Orkney Islands. The Royal Navy's fleet vastly outnumbered the forces available to the Germans but the latter hoped to overcome this numerical disadvantage by enticing part of the British fleet out to sea where it would be overwhelmed and destroyed. Accordingly the Grand Fleet put to sea and sent forward detachments to attack Hartlepool, Scarborough and Whitby. The attack on Hartlepool occurred at dawn on 16 December 1914 with the battle-cruisers SMS Moltke and SMS Seyditz plus the armoured-cruiser SMS Blucher tasked to bombard the port. The first shells fell at 0810 in the vicinity of Heugh Battery. Both Heugh and Lighthouse batteries returned fire - the only shore-to-ship engagement in World War I - during which SMS Blucher was hit six times, one shell almost sinking her, whilst both SMS Moltke and SMS Seyditz also suffered some damage. The Royal Navy, which had been reading the German signal traffic, had destroyers in the vicinity looking for the Germans and they attempted to intervene but were no match for the armoured German vessels. Another destroyer, HMS Patrol, which was alongside in Hartlepool did attempt to sail but suffered heavy damage from shell fire and was forced aground. During their 40 minute attack, the Germans fired over 1,000 shells into the town killing 130 people and injuring 500 more. The Royal Navy did not fall into the trap set by the Germans. During World War II the existing coastal defence batteries at Fairy Cove, Heugh and Lighthouse remained in use as well as the Quick Firing guns at the Examination Battery. However, aerial bombardment was now a very really threat with attacks on Hartlepool starting in June 1940. Accordingly anti-aircraft batteries were built at Brierton Lane, Greatham Lane and Saltholme Lane each fitted with four 4.5-inch guns. In addition a 'Z battery', a mobile anti-aircraft rocket launcher, was also installed on the Town Moor. The anti-aircraft batteries were removed at the end of the war. Barley, M.W (1975). Town Defences in England and Wales after 1066. Brown, A.T (2015). Rural Society and Economic Change in County Durham: Recession and Recovery, c.1400-1640. Boydell and Brewer. Chystal, P and Laundon, S (2016). Hartlepool History Tour. Amberley Publishing. Creighton, O.H and Higham, R.A (2005). Medieval Town Walls. Tempus, Stroud. Daniels, R (2010). 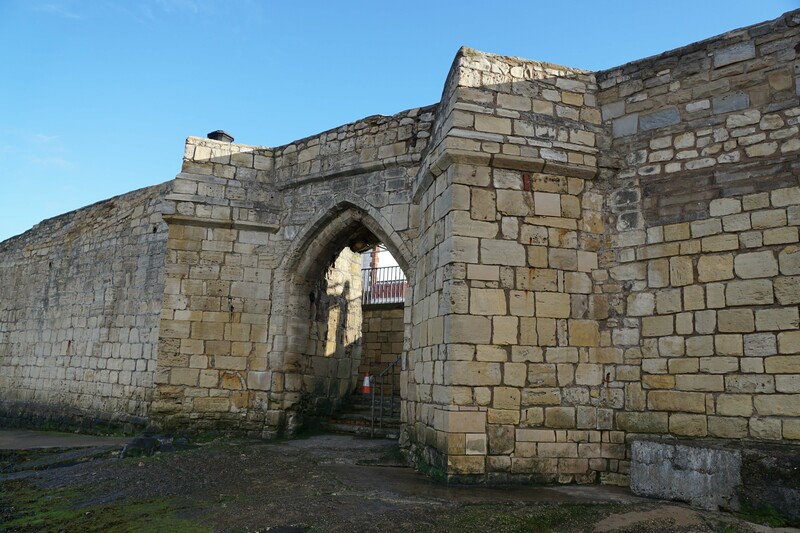 Hartlepool: An archaeology of the medieval town. Salter, M (2013). Medieval Walled Towns. Folly Publications, Malvern. Sharp, C (1851). History of Hartlepool. Turner, H.L (1971). Town Defences in England and Wales. London. 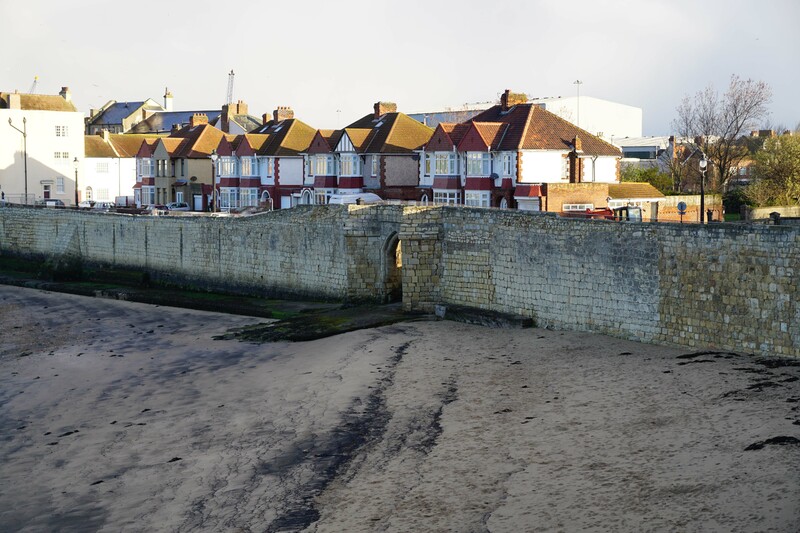 Hartlepool Town Wall has been largely destroyed with the North Gate and landward defences having been demolished. Only a short stretch of waterfront wall (modified and rebuilt in recent times) and one medieval gateway, Sandwell Gate, survive. 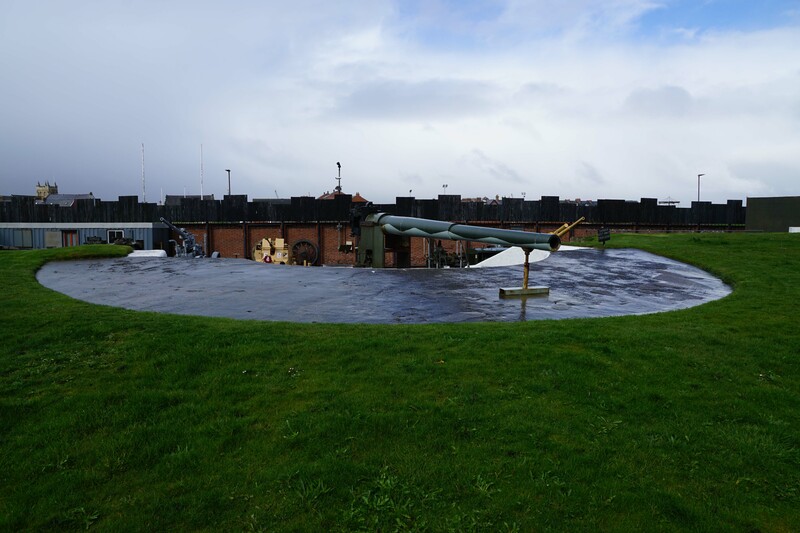 Heugh Battery, one of three Victorian era artillery installations, now hosts a museum. Hartlepool Defences. 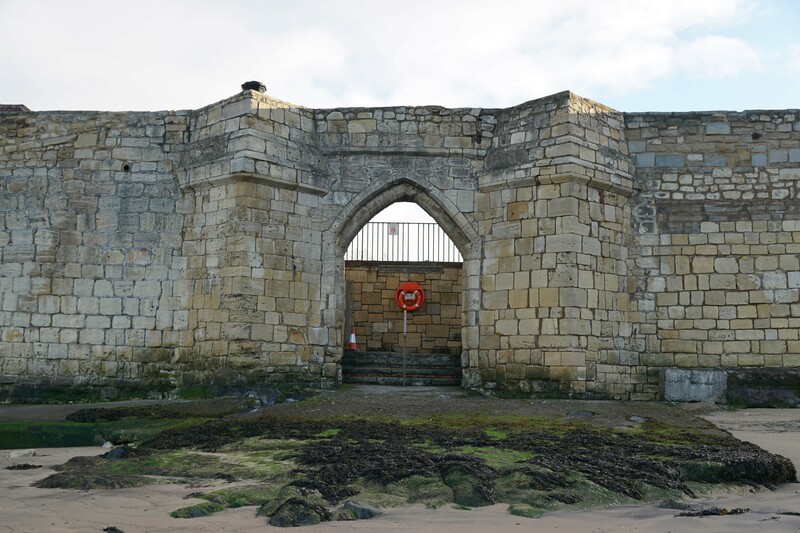 The medieval defences of Hartlepool consisted of a wall that severed the peninsula from the mainland and then swung east to protect the landward beach. The diagram shows the medieval street plan but the locations of the later gun batteries are also marked. Sandwell Gate. This is the only surviving gate from the Town Walls and was built in the early fourteenth century. It may originally have been taller. Town Wall. A portion of the Town Wall survives along the beach. 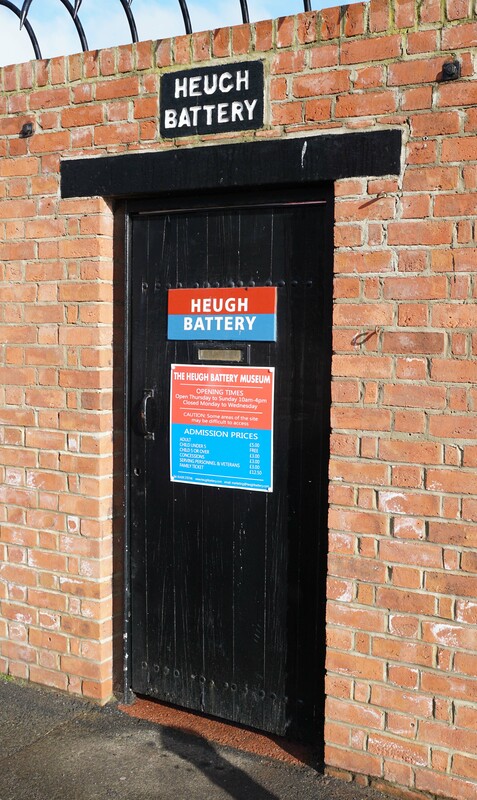 Heugh Battery. The four gun battery was constructed in 1860 and substantially modified in 1899. 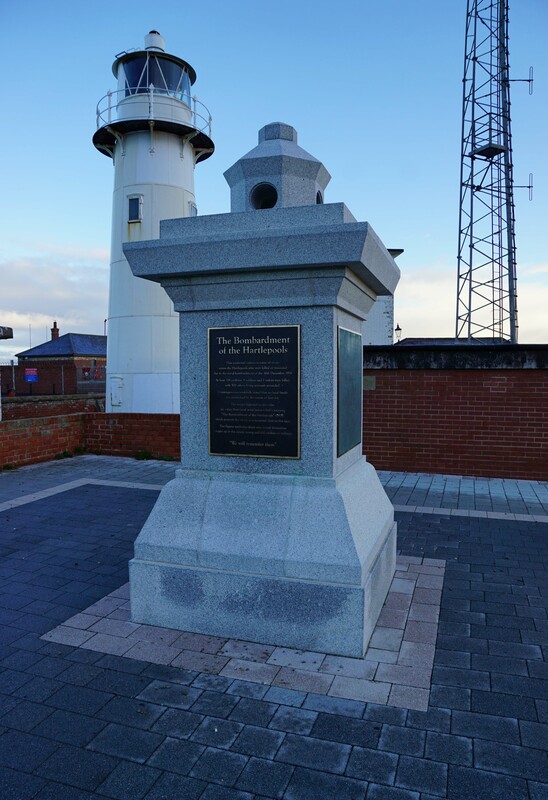 Along with Lighthouse Battery, it engaged the German vessels that attacked Hartlepool in December 1915 scoring numerous hits. It remained in use until coastal defence was abolished in 1956. Thereafter it was used as a sports centre before being converted into a museum. German Attack. The first shells of the German attack struck near Heugh Battery. A small monument marks the area. Lighthouse Battery. The gun marks the site of the Lighthouse Battery which was built in 1860 and demolished in 1956. Fairy Cove Battery. A battery was established at Fairy Cove around 1740 and it was substantially rebuilt in 1860 into a two-gun installation. It was demolished in the twentieth century but the site is marked by a 4.5-inch Naval gun, a variant that was installed within the battery during World War II. Town Moor. During the medieval period the town moor provided common pasture ground. During World War I training trenches were dug to prepare soldiers for service on the Western Front. In the Second World War a Z-battery, an anti-aircraft rocket launcher, was installed on the site. Examination Battery. The 1915 battery was installed upon the Old Pier. It was demolished after World War II but an ammunition stores building survives. St Hilda's Church. The present church dates from between 1190 and 1250 with later modifications but it was a successor to earlier religious buildings on the site. It is dedicated to Saint Hilda who arrived in Hartlepool in AD 648. 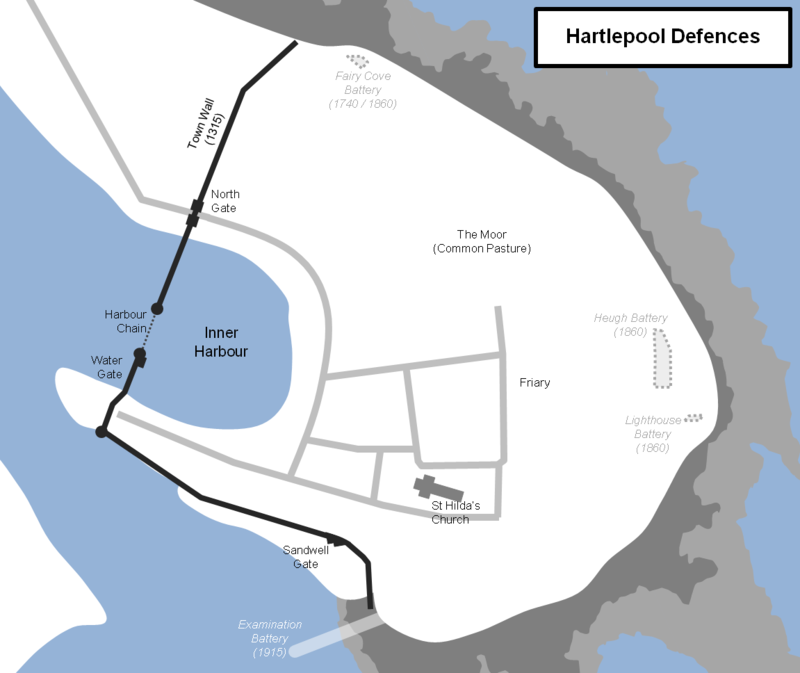 Hartlepool Town Defences are located on the Headland. There is car parking at Heigh Battery and all the sites of interest are within easy walking distance. Visitors may wish to combine the journey with a visit to HMS Trincomalee, a superbly presented nineteenth century frigate, which can be found on the other side of the harbour.